The new facility in the industrial estate of Nuremberg-Feucht with its 3,000 m² production floor and 1,200 m² of office space ensures the dynamic further development of the company in the future. At the moment, the new building houses 120 employees. A further expansion at the previous location of WITTMANN Robot Systeme in Nuremberg-Schwaig would not have been possible. A total of seven million Euros has been invested in the new facility. The build time – from the ground-breaking ceremony to the June 13 launch – was achieved in less than a year. 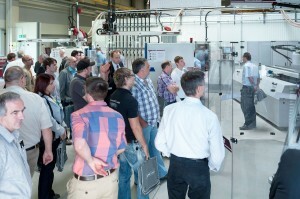 The new factory has also been created as an automation competence center for the WITTMANN Group. It includes production that has been equipped with a CNC 3-axis machining center and a repair department. In addition, the Nuremberg-Feucht facility has a presentation room, classic high-bay racking for spare parts, as well as special areas for dispatch handling, pickup, and delivery. From now on, the WITTMANN Robot Systeme company in Nuremberg-Feucht will prepare and assemble robots and automation systems for the specific needs of its customers. The Nuremberg branch is expected to realize a turnover of 30 millions Euros for the current year. 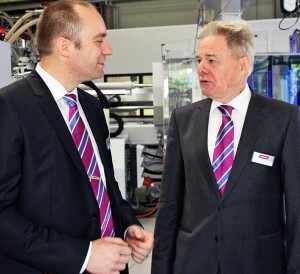 “I am very pleased that the WITTMANN Group has played a considerable role in the formation of the plastics automation sector in Germany,” said company founder Dr. Werner Wittmann in his commemorative and acceptance speech. The company’s German history started in the year 1983 with the acquisition of the Nuremberg-based Küffner Technologie company. “This was our first foreign branch,” stated Werner Wittmann. “Germany is by far our most important market in the world, and Nuremberg is our main location in regard to automation technology in Europe.” WITTMANN Germany is looking back on a success story that has lasted over 30 years now. 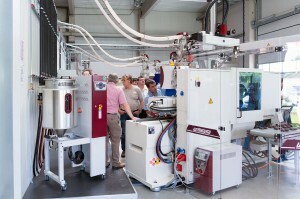 At the time of establishing WITTMANN Robot Systeme GmbH, the company was amongst the pioneers of robot technology for injection molding machines in Germany. 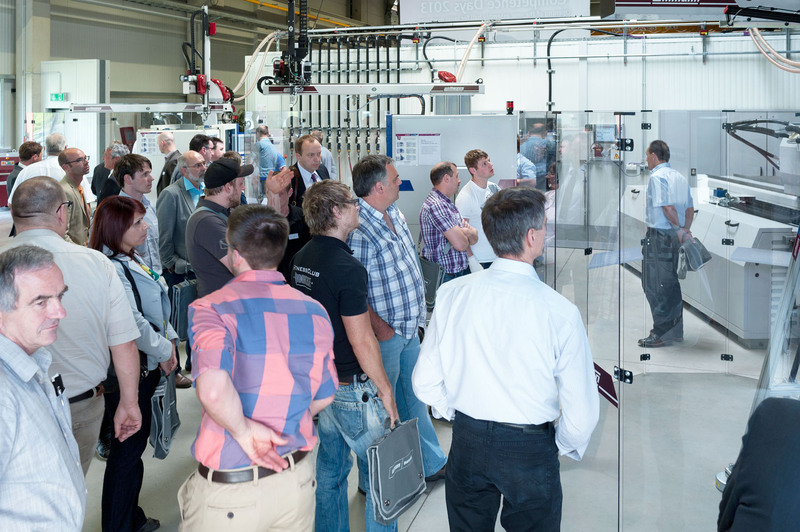 Today, WITTMANN Germany is the market leader in this field – with thousands of successfully installed automation systems. WITTMANN worldwide is one of the leading manufacturers of robots and peripheral equipment for the plastics industry. 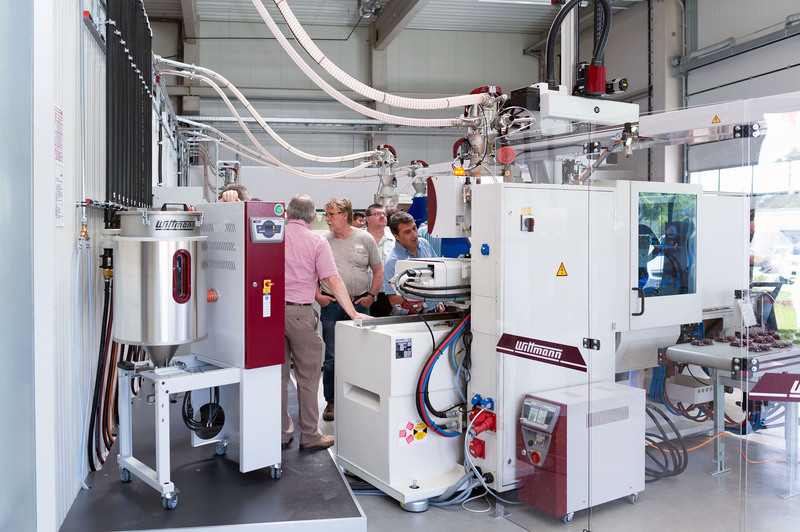 The WITTMANN group with Headquarters in Vienna/Austria is a worldwide operating company with 7 production facilities and 28 branch offices in all major plastics markets in the world. WITTMANN’s product range includes robots and automation systems, automatic material handling with dryers and plastic recycling, temperature controllers and chillers for machine tools and volumetric and gravimetric blenders.